The Sword Museum’s new site is adjacent to the Kyu-Yasuda Garden which was part of a Daimyo (upper class Samurai) estate from the 18th century. Though it has undergone many changes since then, the garden retains much of its original character. 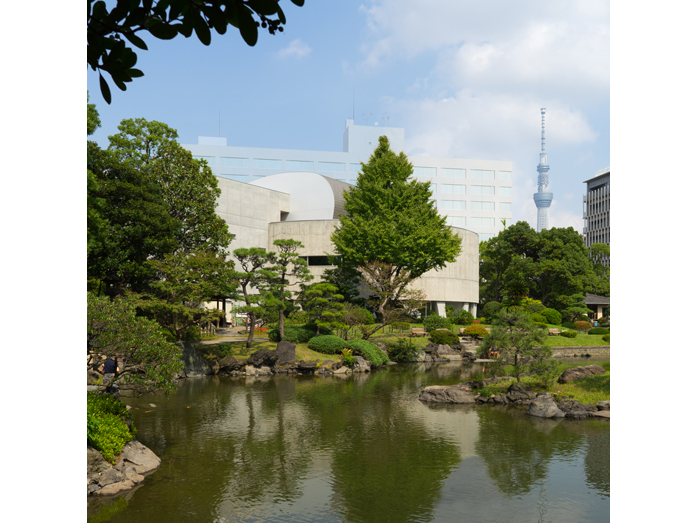 The Museum’s form - a cylindrical volume extending towards the pond with two wings - follows the site lines of the Ryogoku Auditorium previously on this site, adding a vaulted roof that houses the main exhibition gallery on the third level. A new terrace just outside the exhibition gallery affords panoramic views of the garden below, while the ground floor serves as a highly public neighborhood amenity, including a café, lecture hall, museum shop and information corner. The second floor is devoted to administrative functions, storage and workshops. The museum will display not only the arts and crafts aspects of Japanese swords, but also disseminate a comprehensive picture of Japanese samurai culture in conjunction with the adjacent Garden. Structural Engineer： Umezawa Structural Engineers, lab.